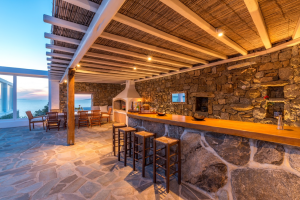 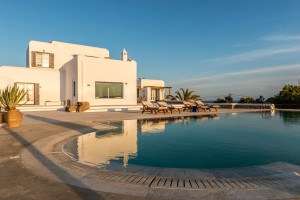 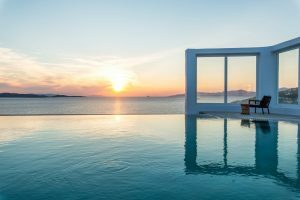 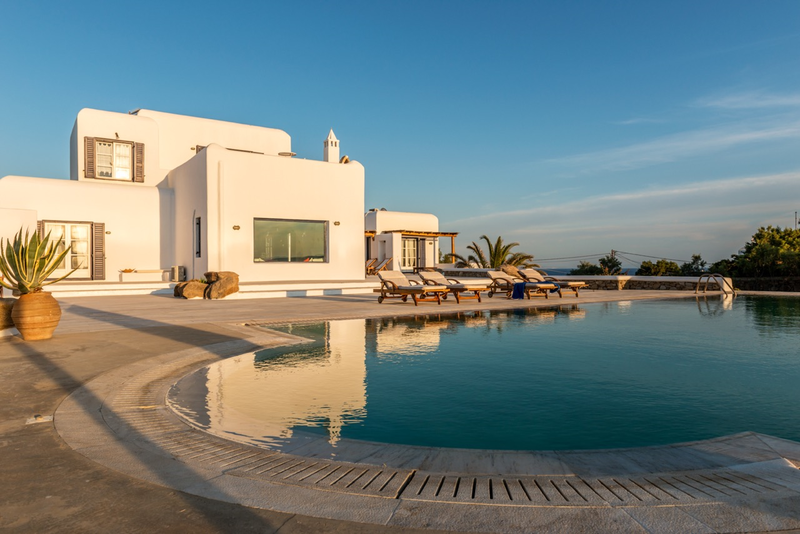 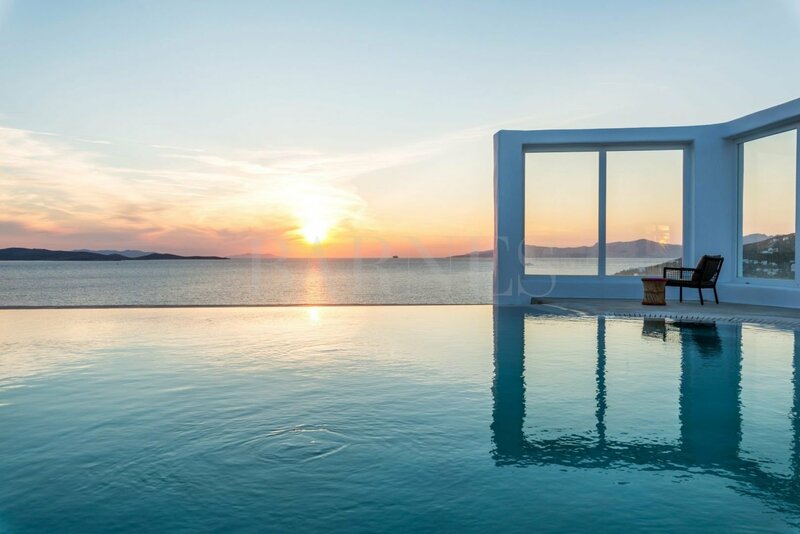 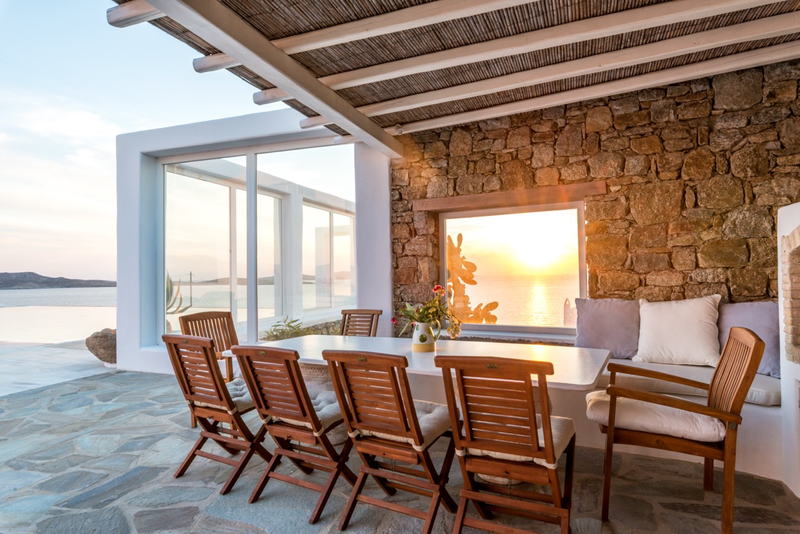 An exceptional villa with an amazing swimming pool in Aleomandra of Mykonos, overlooking Delos island and the sunset. 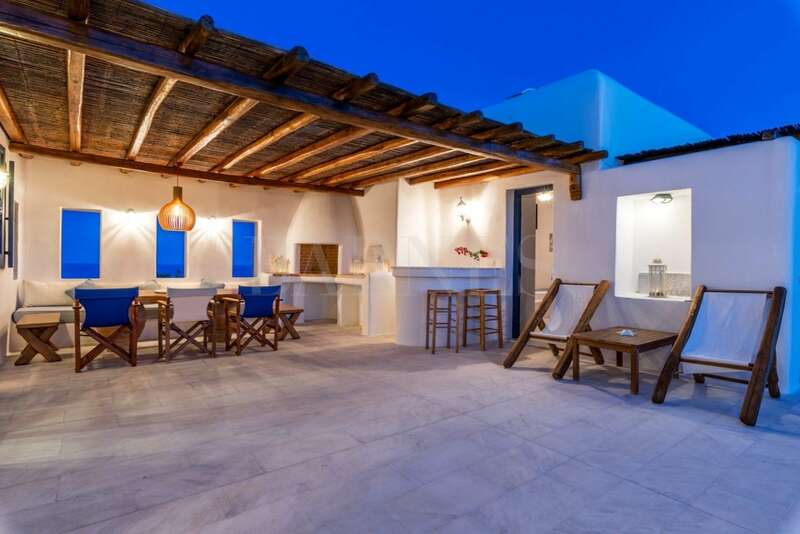 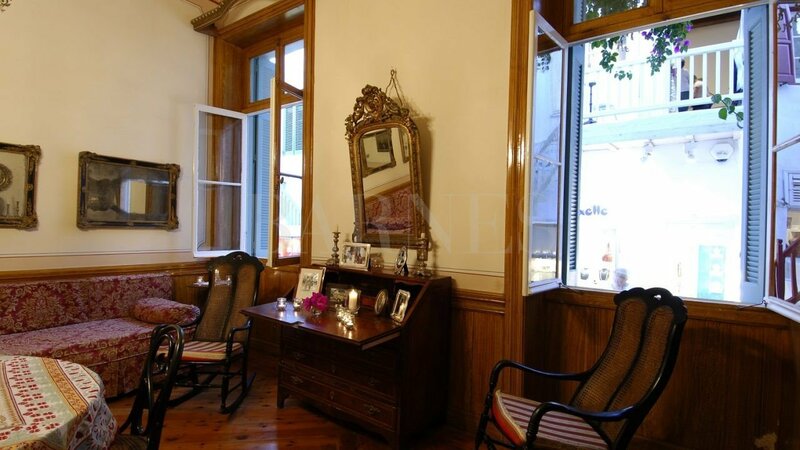 The villa offers 380 sq.m. 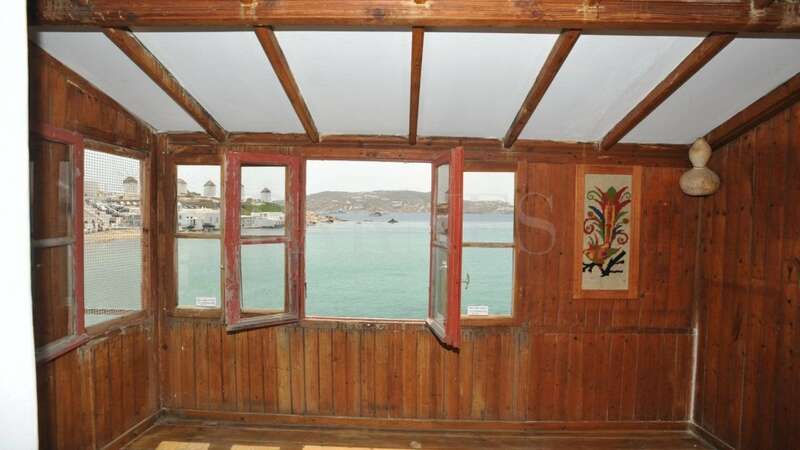 and is built on a seaside plot of 10400 sq.m. 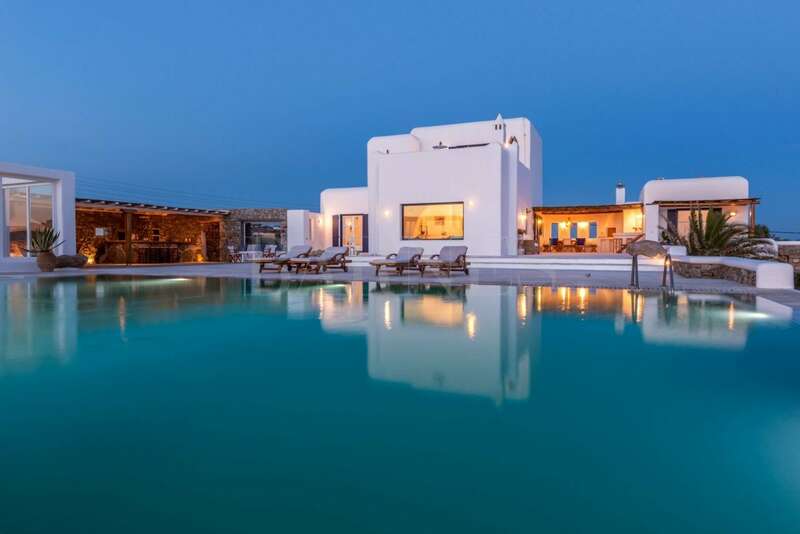 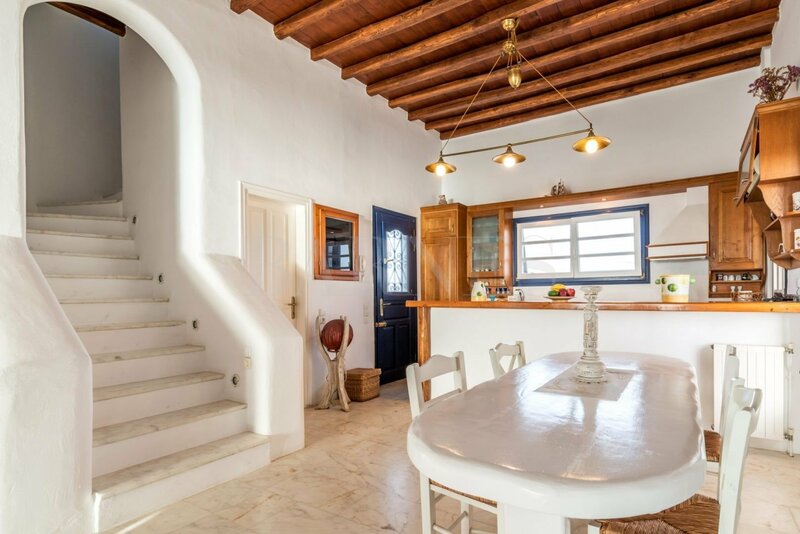 with a swimming pool of 15,50m x 9m and beautiful covered terraces with wonderful sea views. 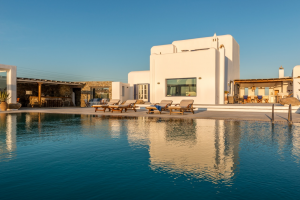 In the main building the villa offers a living room with a fireplace, an open plan kitchen, a bedroom with an en-suite bathroom and a storage room. 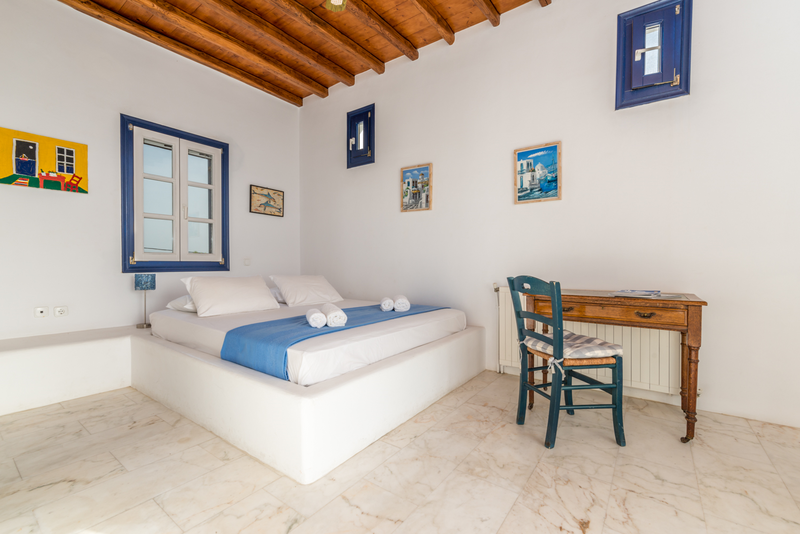 On the 1st floor there is master bedroom. 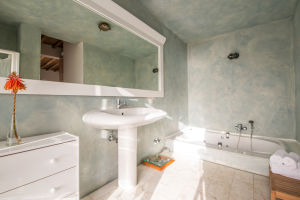 In a second building there is a master bedroom. There are also two independent guest rooms with en-suite bathrooms. 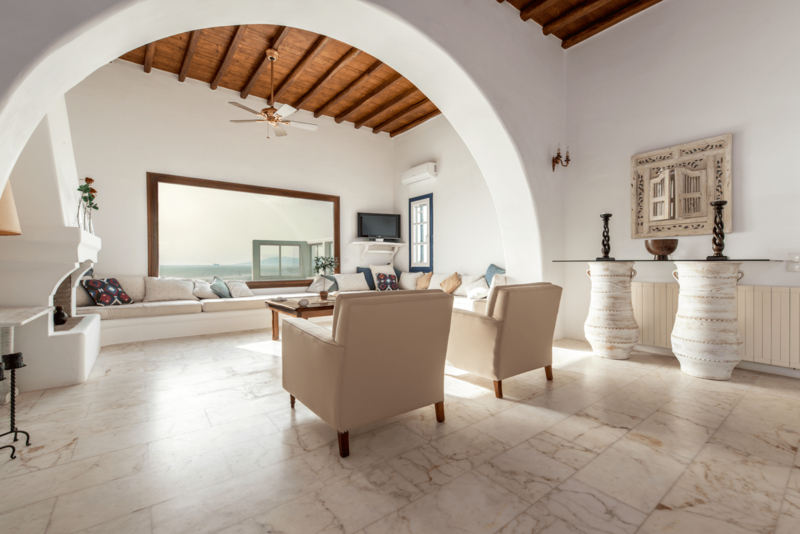 The villa also offers an independent space for the staff. In the outdoor space, next to the pool, there is a lovely covered dining area with a bar and a BBQ. 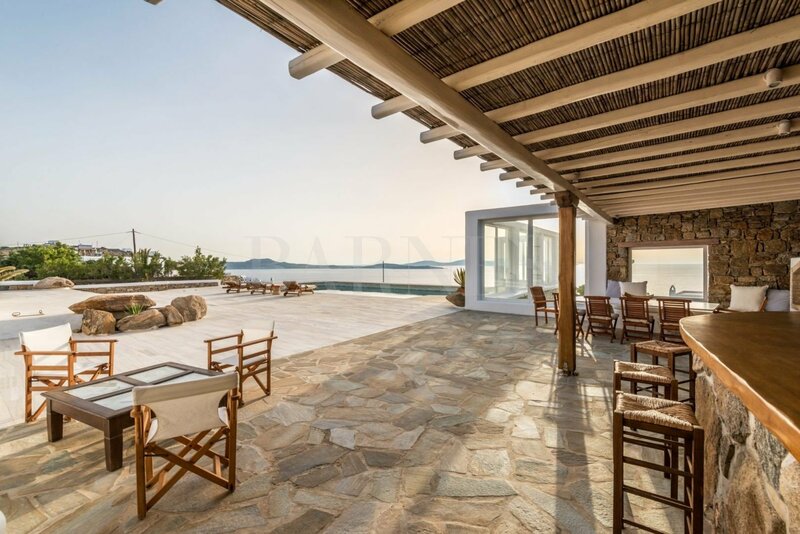 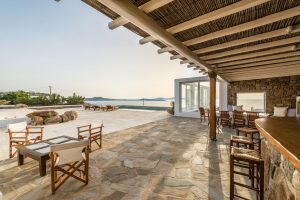 A unique villa with a magnificent view of Delos island and the Aegean Sea.